Save your home from the destruction of carpenter bees! Best Bee Brothers carpenter bee traps are proven highly effective at eliminating carpenter bees, also known as wood bees. The traps are simple to use, well built, attractive, and require virtually no maintenance. Just set one up and watch it fill with carpenter bees! The safe and effective way to get rid of Carpenter Bees! Save your home from the destruction of carpenter bees! 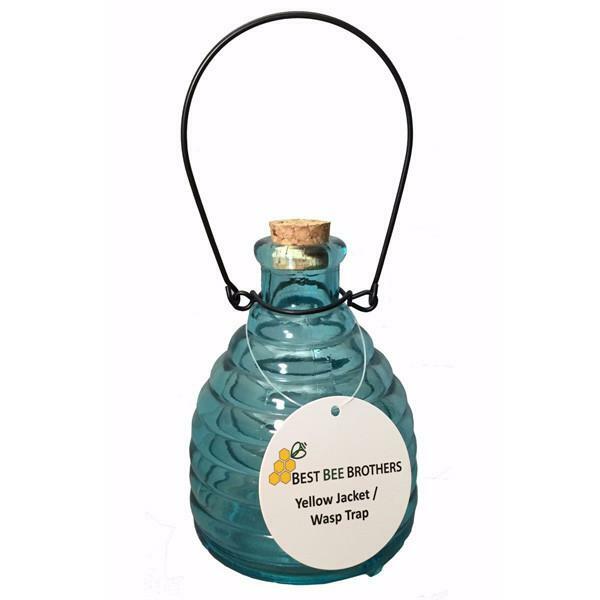 Best Bee Brothers carpenter bee traps are proven highly effective at eliminating carpenter bees, also known as wood bees. Our traps have caught MILLIONS of wood boring bees! 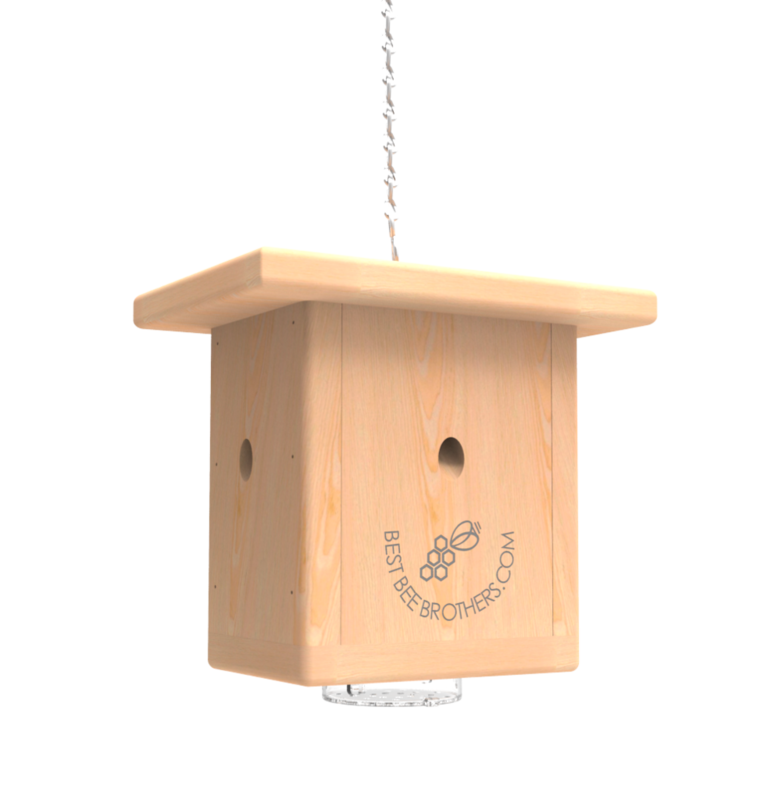 Our unique design naturally attracts carpenter bees without the use of harmful chemicals, making them safe to use around kids and pets. The traps are simple to use, well built, attractive, and require virtually no maintenance. Just set one up and watch it fill with carpenter bees! Each trap has a 100% satisfaction guarantee, all you have to lose are carpenter bees! Our unique trap design is the result of years of study and research into carpenter bees resulting in the ULTIMATE trap! 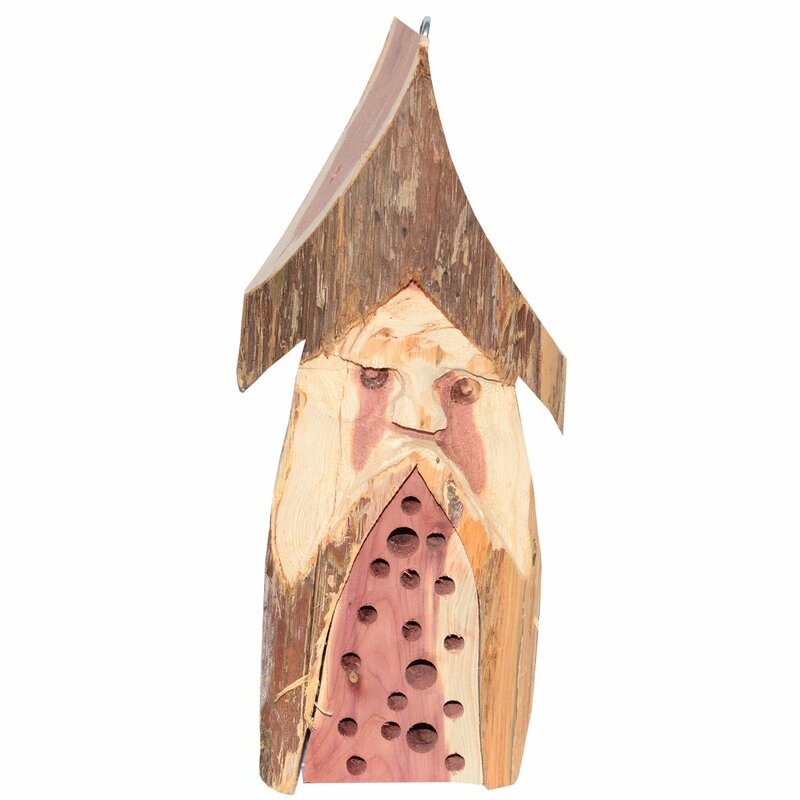 The overall design mimics the nesting habits of carpenter bees to naturally and safely draw them into the trap. Once inside, it is virtually impossible for them to get out. Our two most popular carpenter bee traps are the Best Bee Trap and the Pinewood Box Trap. The Best Bee Trap is our #1 seller. The exterior body is made of soft wood with three strategically drilled entrance holes that mimic the natural home of wood boring bees. The internal funnel guides the bee into the bottom clear trap, rendering escape impossible. The natural release of pheromones from dead carpenter bees attracts more live carpenter bees to the trap. Once one carpenter bee dies in the trap, the pheromone passes through the specially designed aeration holes on the bottom lid and attracts more carpenter bees. The trap does all the work for you! 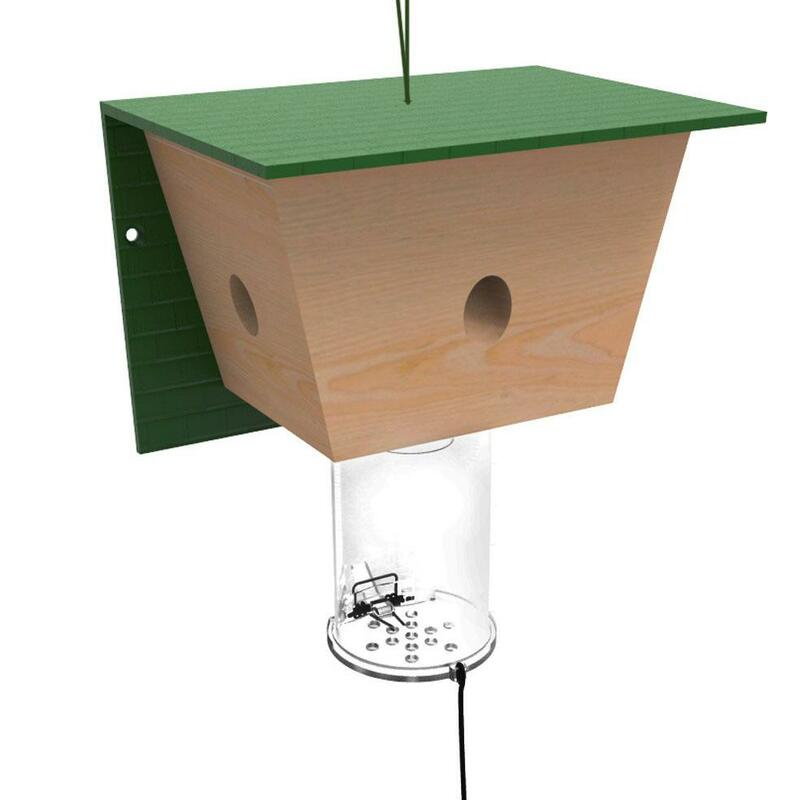 The Pinewood Bee Box Trap is made of all pinewood and is as effective as our Best Bee Trap following the same design principles. However, this trap catches the bees inside the main body of the trap, keeping the captured bees out of eyesight. There are no other carpenter bee solutions on the market as effective or refined. 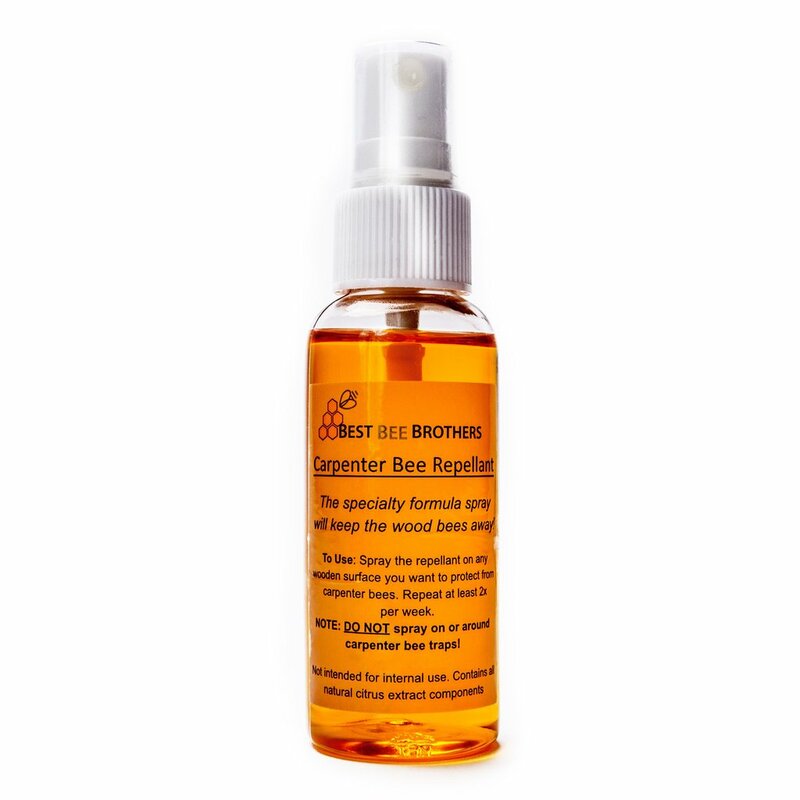 Best Bee Brothers has created a convenient and attractive product that gets the job done! The traps are effective, safe, and easy to use. Have any mosquitos in your yard? We have great products to help protect your back yard from these irritating pests too! All-Natural Bug Bands - bug repelling bands to wear around your wrist, last for months!